As work on the new bouldering guide continues, the summer is often a time to explore and map and check out others' explorations. 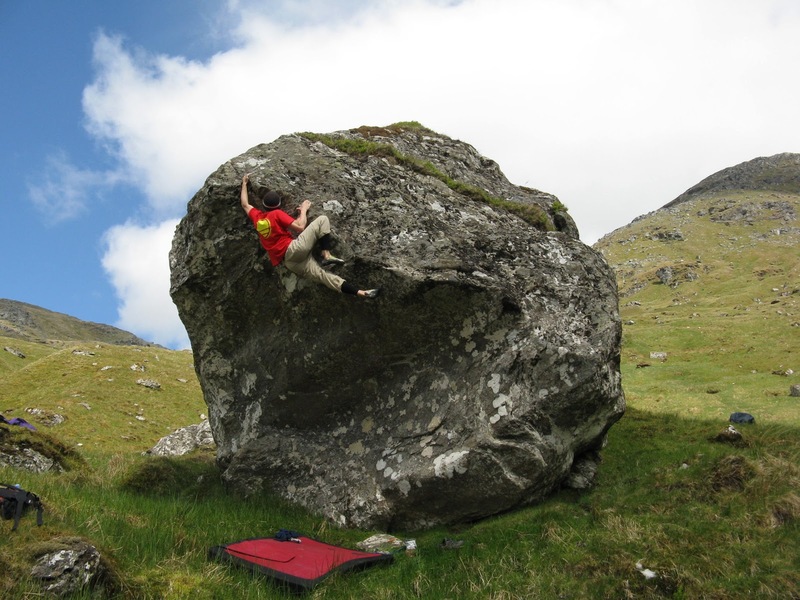 Tom Charles-Edwards is probably one of Scotland's most under-rated pioneers of the 'lost boulder'. 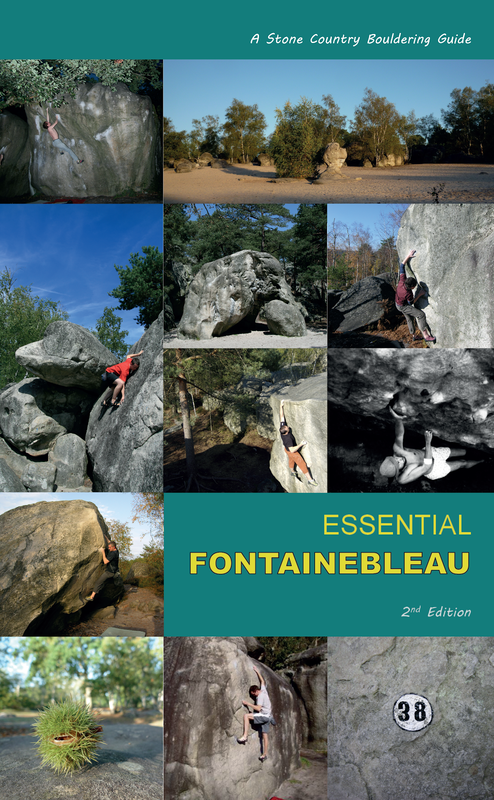 A bit like Christophe Laumone in Fontainebleau, Tom often prefers solitude and exploration, stringing together king lines on remote blocs. It is thanks to Tom that future generations will have futuristic and adventurous projects to keep them busy and feed the rat when all the 'accessible' stuff is worked out by the 'car-boot raider' (park by boulders, unload 10 mats, flash all the 8a's, tick, downgrade, eat carrot, pack up and drive off...apologies for unfair caricature?!). 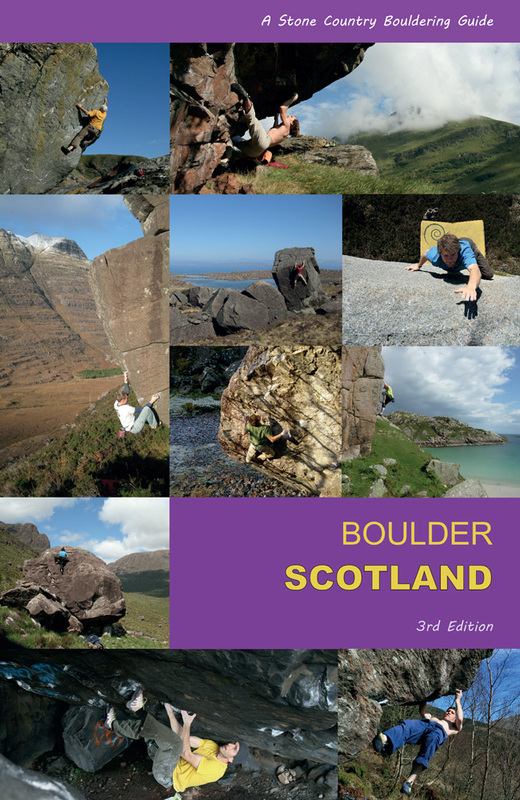 Anyway, Tom has suggested some very good ideas for the new guides, as I'm trying to develop a guidebook that does justice to the many tastes in bouldering and provide enjoyable circuits for the visiting boulderer in Scotland. Tom's idea is a simple one: the 'day-hiker/bouldering circuit', that is, using boulders to way-mark a day in the Scottish hills, combining the best of mountain and boulder. A small mat and pack lunch, a good topo (! ), and off you go... some of Tom's finds may have big projects, but they also have achievable and impressive lines over good landings (a consideration for remote classics). Linking these together in an enjoyable walk is also a kind of perverted geo-caching, or perhaps a new form of orienteering...but suggestions for such trails are welcome (the Arran corries circuit is a big case in point, with the Rosetta stone as highlight). For more on Tom's explorations, check out his Scottish Climbs page. Oh the Scottish weather. Woe to the projects. rain, humidity, heat, not good for any form of climbing...we took a chance on Craigmaddie's sandy gritstone, hoping that the drying winds after the downpours might have hardened the flaky, brittle sandstone. There were a few lip traverses we had our eyes on and in this heat we thought the rough sandstone might just be playable (as Dumby's glassy slopers were not an option). It proved the case and the jaded, overheated, August boulderer found some playtime on some projects. The 'cantilever' problem, climbed in extension by Colin Lambton as a technical 6c and woefully named as 'EXtrEMe John', is a worthy 6b in itself and the original problem before 'John' naively bought the car with the unfortunate number plate. It's on the Jawbone crag, taking the lower lip traverse from the niche, with one excellent crossover sequence in a cantilevered, horizontal position. Proof that there's always more climbing at a venue if you squint your eyes a little. In this vein, the Owl Traverse is seeing a re-visitation with some crafty sequences to provide a harder project. As is 'The Nose' on the lower crag. This awkward arete/nose can be climbed from the corner at about 6a, rather scruffily escaping up to jugs, but a better, harder sequence, stretches out to the lip from the shelf, then cuts loose to a clamp and dyno for an excellent 6b+, with possible link-up connotations to the Abracadabra finish.